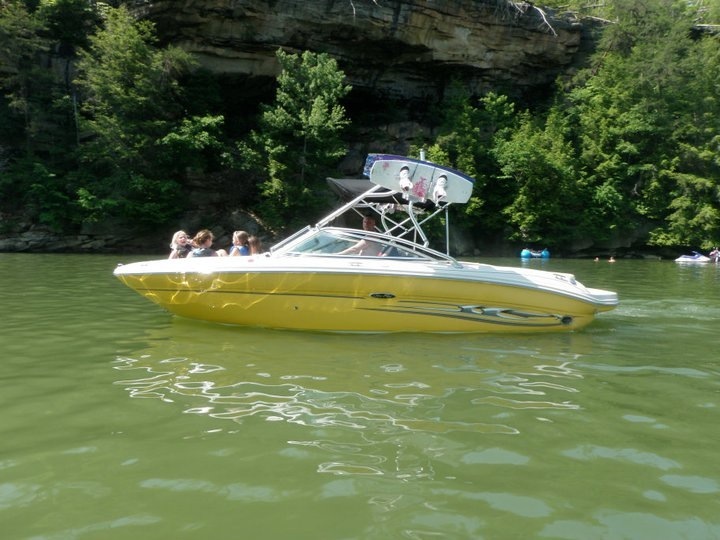 When we first purchased our boat in 2006, we weren’t into wakeboarding. After we rode behind a boat with a tower a few times, we knew we needed to add one. This is what our boat looks like now with the tower. We went with the same tower that goes on new Sea Ray boats so that it follows the lines of our boat. The manufacturer is XTP (Xtreme Tower Products), sister company to Monster Tower.